Owed money or neighbour problems. Put your trust in a firm with considerable expertise in criminal law and with a reputation to match. 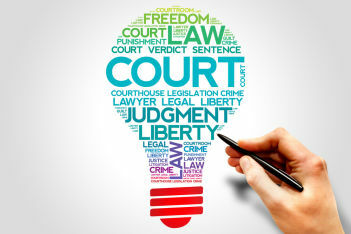 We have extensive experience with all aspects of criminal law, so if you are looking for expert criminal defence solicitors in Peterborough or surrounding areas then we are able to help. We regularly represent clients in cases held at the Magistrates Court, Crown Court and Youth Court. Jeremy Roberts can provide assistance at the Police Station, 24 hours a day. If you have been detained by the Police, it is important that experienced duty solicitors or Police solicitors are present before any form of Police questioning takes place. We specialise in all areas of criminal law and can provide expert defence against all criminal charges. If you or family member has been accused of committing a criminal offence, then contact Jeremy Robersts for professional legal advice and assistance. We are able to provide free advice in the first instance, and your case may qualify for free legal aid. Call us on 01733 343943 or email jeremyroberts.co@byconnect.com and we will contact you directly to discuss your situation. 3. Sign nothing. No documents of any sort including notebooks. Politely decline and say you need to discuss it with your solicitor. 4. Ensure you ask for a Solicitor! It does not take any longer regardless of what the officer says – a Solicitor is duty bound to do his/her best for you – the Police will not.